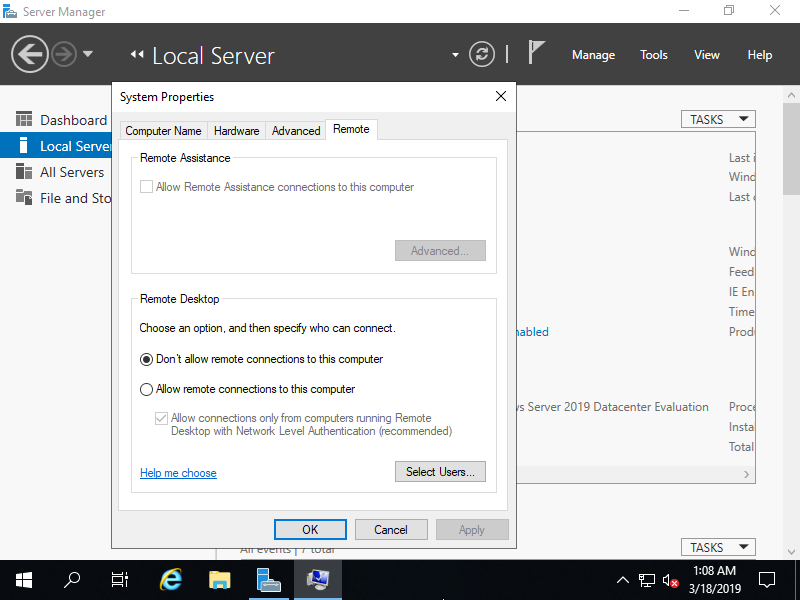 Enable Remote Desktop to connect to the Server from other Computers. This exmaple shows to enable single session function of Remote Desktop which Windows Client OS also has. 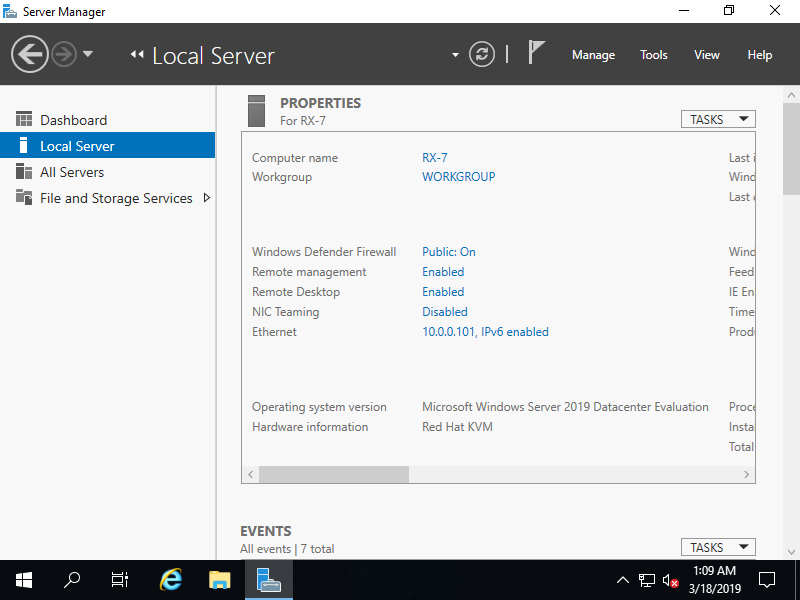 Run Server Manager and Select [Local Server] on the left Pane, then click [Disabled] for [Remote Desktop] section. Check a box [Allow remote connections to this computer]. 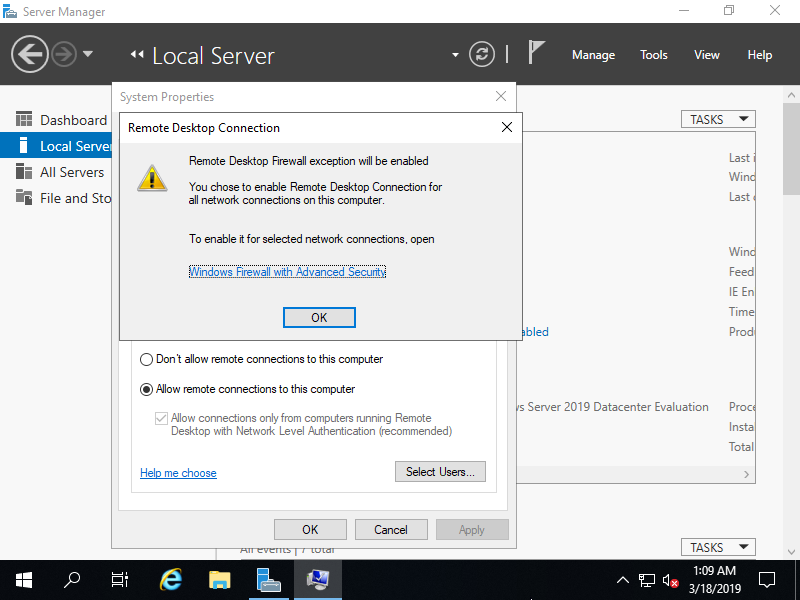 The message that Firewall exception for Remote desktop is enabled, click [OK] button. Remote Desktop function has turned to [Enabled].